CSIT member Korea visits Rome. CSIT has added three new partners to its organisation during the ExCom meeting in Tortosa with Malta (Sport for All), South Korea (Korean Office Workers Sports Committee) and Kosovo (Kosova Workers Sport Federation). 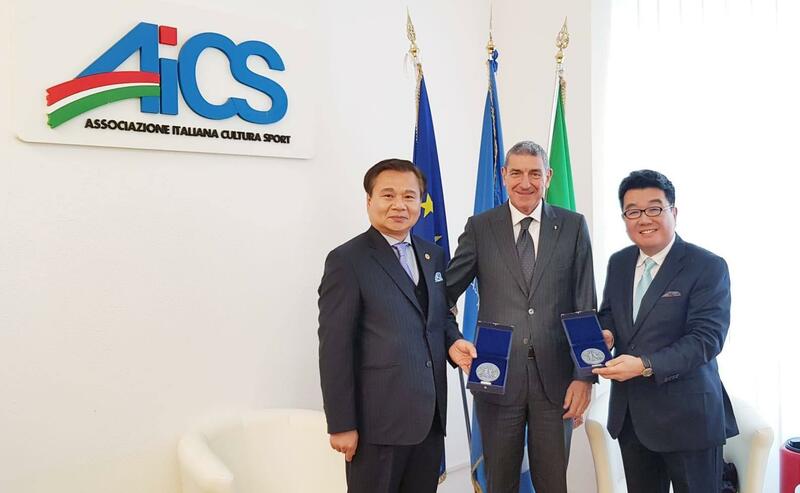 At the beginning of April, a delegation from Korea visited the CSIT head office in Rome. Chairman Myungsoo Eo and Executive Advisor Robert Kim had fruitful discussions with CSIT President Bruno Molea about future cooperation. The Korean organization is one of the largest CSIT partners and was enthusiastic about the CSIT World Sports Games. A delegation will also come to Tortosa this summer.